ARCMTL is proud to be a part of the Contre-Culture : Existences et persistances conference. by Louis Rastelli, Director, Archive Montréal. Moderated by Louis Rastelli and Sarah Watson (Managing director, Artexte). For this edition of One Hour, One Book, Louis Rastelli will present one issue of davinci, a short-run periodical published in Montreal in the mid 1970s that featured the work of dozens of local poets, writers and visual artists of varied disciplines. A great many well-known artists, such as Suzy Lake, Bill Vazan, John Heward and more, contributed to this small but explosive publication. After davinci released its final issue in 1975, Allan Bealy, the magazine’s editor, moved on to become a highly regarded collage artist in New York. Rastelli will discuss how impressively this little publication (which was produced barely one block West of Artexte) brings one back to a specific time in the arts in Montreal, how it prefigured many free-form “zines,” and how its artistic content resonates in the present. The « Contre-culture : Existences et persistances » conference aims to provide a space for reflection, experimentation and dialogue around the following questions: What is counter-culture? What are their variations? And how can the limits be identified for such movements? Presented forty years after Montreal hosted the Rencontre internationale de la contre-culture in 1975, this round table brings together artists and researchers to explore the evolving relationship between the visual arts and counter-culture. What did it mean to be part of the counter-culture arts milieu in 1975, and what does it mean today? 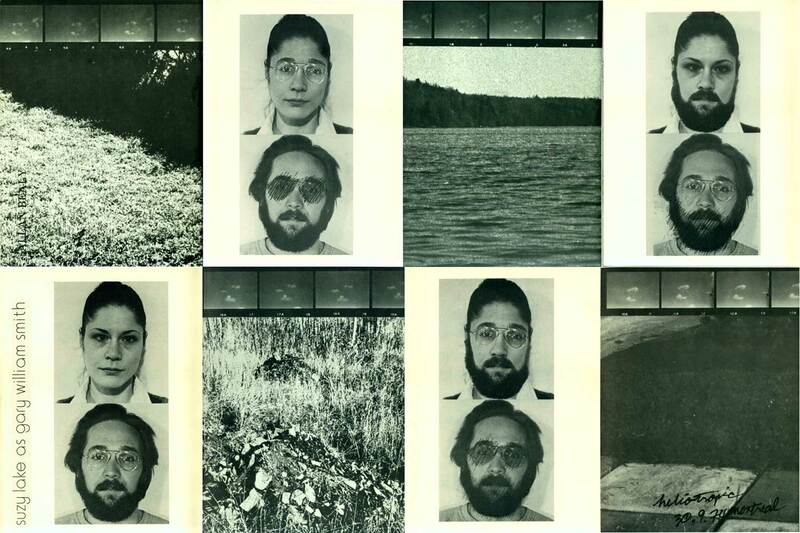 How have different types of practices and objects – including printed matter, zines, and photography – helped redefine the boundaries between art on the margins and more institutionalized forms of art? The conference brings together over four days more than 25 researchers and players of the city’s arts scene. Roughly twenty events and discussions are planned, including round-tables hosted by the Centre de recherches interdisciplinaires en études montréalaises (CRIEM), special presentations by the Anarchives collective, Archive Montréal and Artexte, a musical and poetic cabaret, as well as a projection of the epic film Une semaine dans la vie de camarades (which chronicled the original 1975 conference on counter-culture.) Further events are planned after the conference proper, such as exhibits through the month of October 2015: Criez, créez ou crevez by the Anarchives collective, Errol Gagné’s photographs, a retrospective of the films of Robert Frank at the Cinémathèque Québécoise, Sébastien Dulude’s travelling exhibition of book-objects and a presentation – discussion at the Expozine small press fair.